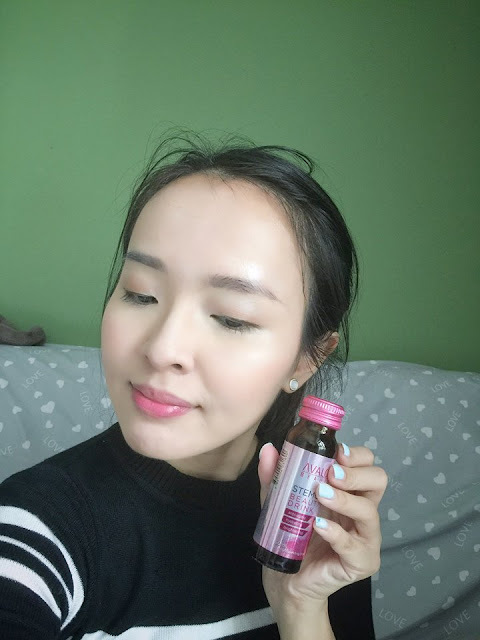 Home / avalon beauty drink review / avalon organics review / avalon singapore review / avalon stemcell beauty drink review / Do stemcell beauty drink works? We tried AVALON Beauty Stemcell Beauty Drink and here's the review. Do stemcell beauty drink works? We tried AVALON Beauty Stemcell Beauty Drink and here's the review. Beauty drinks are all the rage these days. This glass bottles are like potions which promise quick results — a 7-day regime would make you feel or see the difference in your skin. I believe a great lifestyle is essential for good skin, but sometimes it's really hard to be stress-free when you have a hectic lifestyle. AVALON Stemcell beauty drink is a 50ml lightly sparkling drink that promises three main benefits: anti-aging, hydrating and brightening. Avalon™ Stem Cell Beauty Drink is made with Sparkling Water. Did you know that sparkling water actually helps to boost nutrients absorption & promotes skin metabolism? . The taste is pretty citrusy and acidic - something that you'd expect from sparkling drinks. I didn't complete the regime consecutively within 7 days. However, I did feel that my skin was brighten and fairer as and when I drink it. Perhaps if I followed the regime closely, I would have seen the visible effects of minimising pores or hydrating the skin. It's a great beauty drink for maintenance and for those who are perhaps preparing for their wedding or important events.